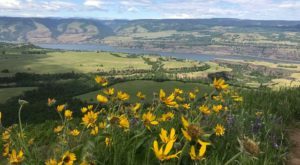 Are you looking for a fun Oregon adventure? 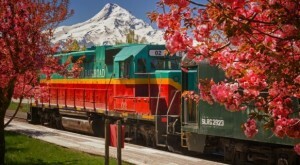 If so, you’ll want to book your ticket on the Mount Hood Railroad. 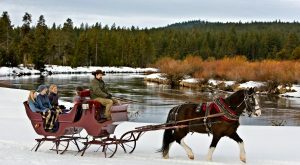 Two train tours provide you with hours of excitement and miles of scenic beauty. 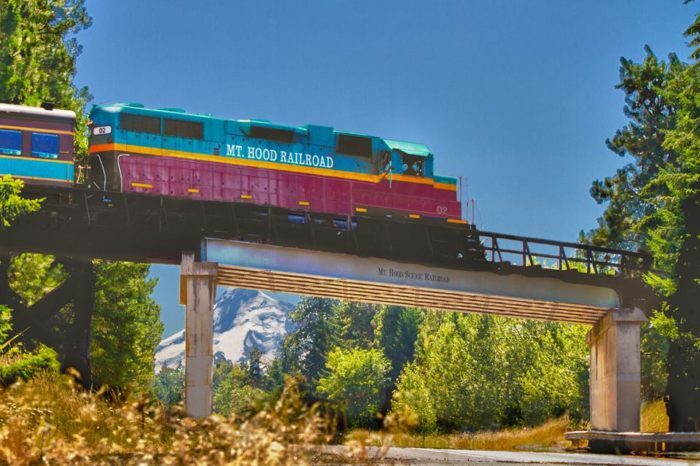 All aboard the Mount Hood Railroad! 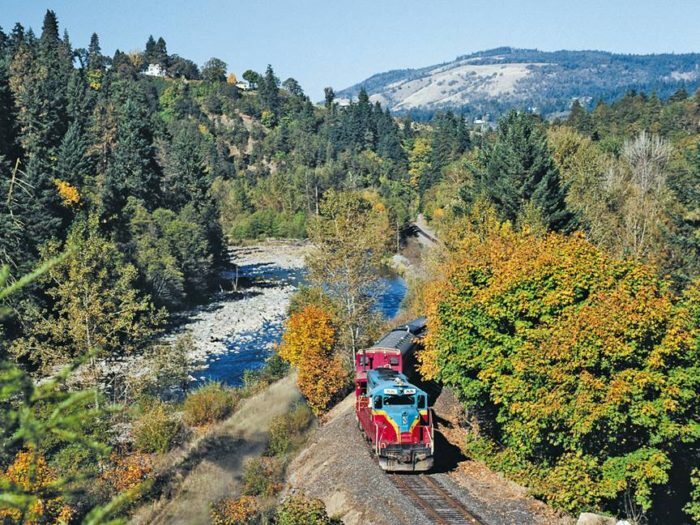 This historic train takes you on a 22-mile-long journey between Hood River and Parkdale. 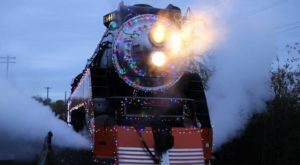 The railroad offers several train trips throughout the year, but right now you can enjoy two special adventures. 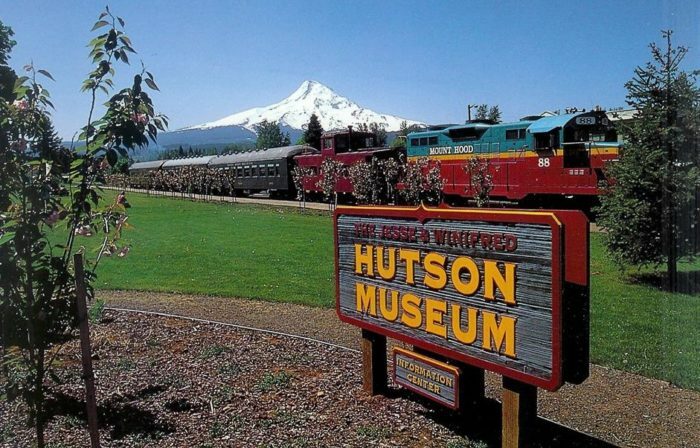 All rides start at the Hood River Station. Your train departs promptly at 10:30 a.m., so make sure you arrive at least 30 minutes beforehand. You don't want to miss this train! 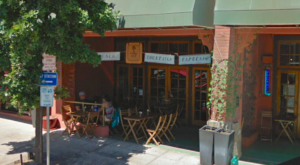 The Parkdale Excursion Train takes you on a wonderful sightseeing adventure through orchards, vineyards, and valleys. You'll catch a glimpse of fall foliage, and witness stunning views of Mount Hood. 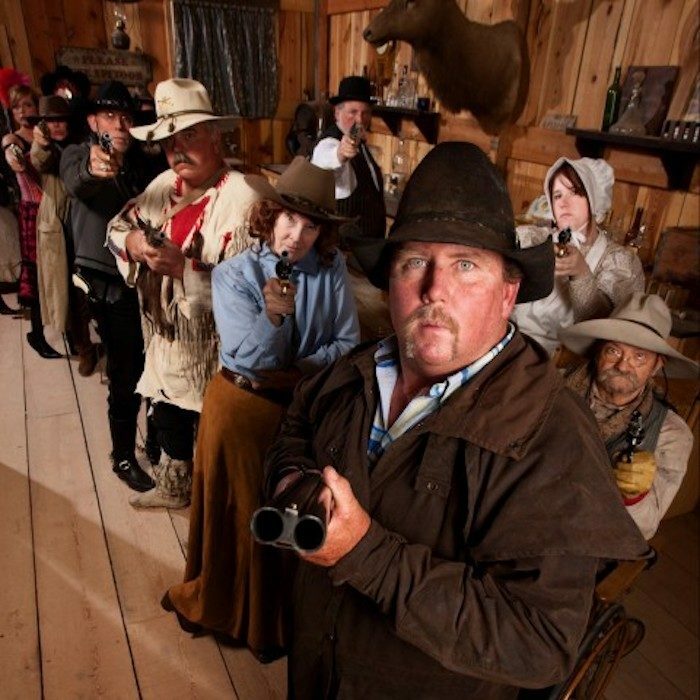 For an exciting Wild West adventure, take the Western Train Robbery excursion. 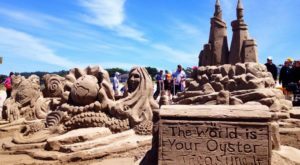 Kids of all ages will love this exciting, staged adventure. 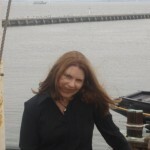 During your ride, Matt the Maverick and his band of thieves just might hold the train up. Don't worry, though - the sheriff and his trusty deputies will likely save the day. Both trains stop for an hour in Parkdale before returning back to the station. While you're there, make sure to visit the Hutson Museum. 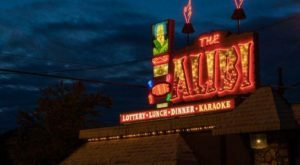 Admission is included in your fare. You can also pre-order a boxed lunch to enjoy. 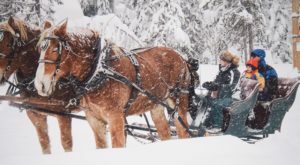 Mount Hood Railroad offers three classes of service: Standard Class with regular train seating, First Class with upgraded seats, or Diamond Class in the Sky Dome Car. 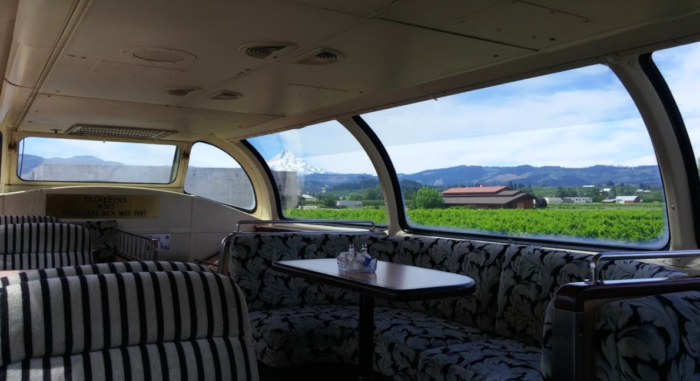 For the extra fare, the Sky Dome Car provides even better views of the countryside during your trip. 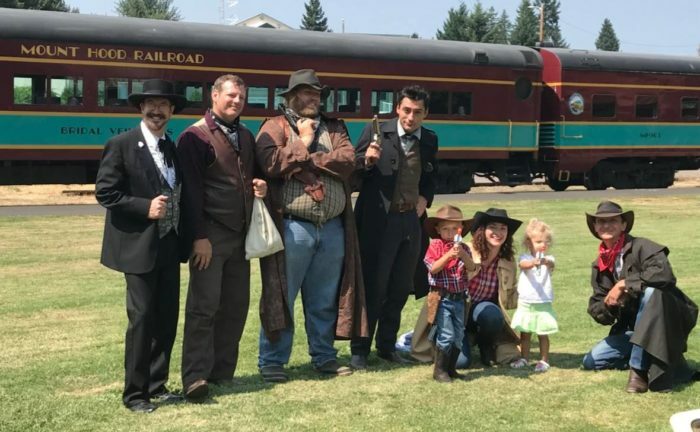 If you’re interested in the Western Train Robbery ride, you’ll want to book your tickets now – there’s just one excursion left in the season, on September 22, 2018. The Parkdale excursions run through October 28, 2018. 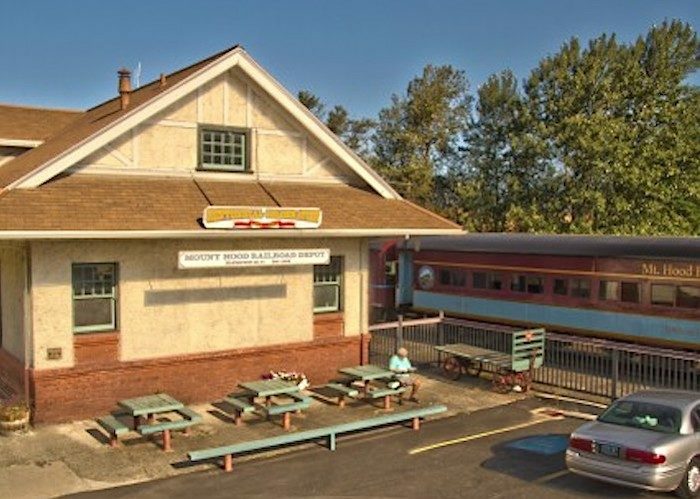 Click here for Mount Hood Railroad’s website, where you can learn more about the trains and book tickets. 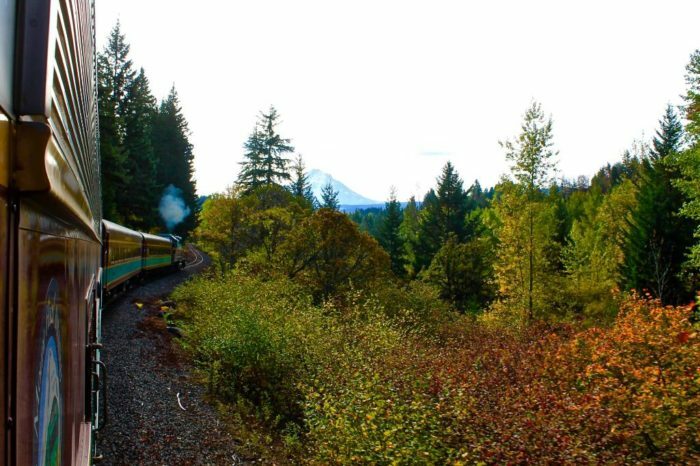 We’d love to hear from you if you’ve ever taken a train ride on the Mount Hood Railroad. Share your adventures with us in the comments! If you’re looking for a more active adventure, you’ll want to check out this treetop trail that will show you a side of Oregon you’ve never seen.